Christen brings a rare combination of business know-how and communications and policy expertise combined with an entrepreneurial spirit to realize her commitment to making social progress and advancements within the public education sector. She has strong communications and program management experience in the private and public sectors and a history of high-level client and membership engagement that has enabled her to achieve an exceptional record of accomplishment. She brings a focused, entrepreneurial approach to traditional institutions, helping them cultivate new ideas and implement fresh approaches to drive progress and success. Christen is the founder and President/CEO of edBridge Partners, a collaborative consultancy serving K-12 and higher education. She sets the direction for the firm and is deeply involved in all client engagements. Prior to founding edBridge Partners, Christen launched and led the College Board Advocacy & Policy Center, transforming the organization’s advocacy and policy agenda and establishing the Center as trusted resource for research, data and information for educators and policymakers. She greatly increased the impact of the Center’s work, deepened engagement of the organization’s constituencies, influenced policymakers, and directed the Center’s strategic marketing and communications efforts, including development of the Advocacy & Policy Center website, press events, policy roundtables and legislative briefings, social media strategies, and outreach efforts. The Center’s mission was to improve college readiness, access, affordability and completion, particularly among under-served students. She established a strategic approach that leveraged the organization’s strengths to build the advocacy unit’s output from a few reports into a cohesive set of high impact initiatives backed by research, connecting policy to practice and supported by national advocacy campaigns. Working closely with an Advisory Board of 17 distinguished educators, she and her team launched 20 high impact initiatives to engage the College Board’s 6,000 institutional members behind a progressive change agenda. Christen joined the College Board’s Research & Development Unit in 2005 as a strategic information analyst and quickly rose to become vice president and executive director of the new Advocacy & Policy Center. 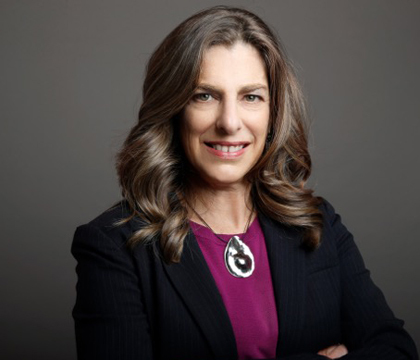 Prior to the College Board, she led the launch and initial pilot test of a new technology service designed to bring greater efficiency and reach to the consumer research programs of Fortune 500 companies. FocusVision Network is now the leading global provider of live video transmission, analysis and archive solutions for the qualitative market research industry. 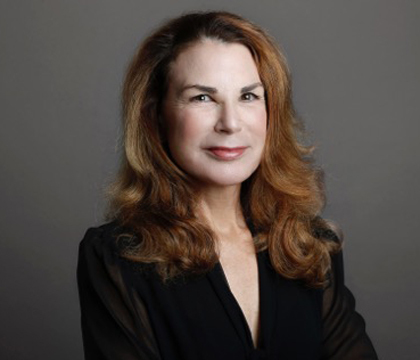 Earlier in her career, she was a senior product manager with Canada Dry and Unilever, the global consumer products company, where she was responsible for the marketing, research, and sales success of three of the company’s brands. Christen earned her B.A. in communications at UCLA and an M.A. in applied psychology at Fairfield University Graduate School of Education and Allied Professions, where she currently serves on the Advisory Board. A proven leader in developing and implementing innovative strategic initiatives, Rohit has over 20 years experience working within the education, financial, digital and non-profit fields. He is professionally certified in program and project management, and brings a strong background in strategic planning, critical thinking and execution to help clients identify and achieve their goals. 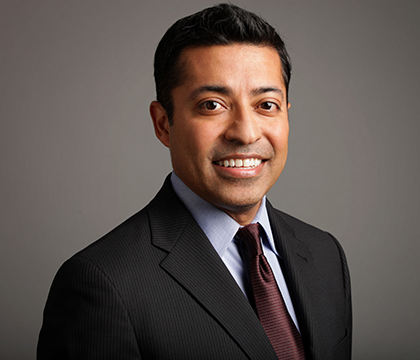 Prior to joining edBridge as a principal, Rohit held leadership positions in program management at Public Broadcasting Service (PBS)/WNET, the College Board and at Perfect Sense Digital, LLC. As a senior member of the Advocacy & Policy Center at the College Board, he was responsible for helping define, develop and execute on the Center’s strategic portfolio of initiatives, overseeing the quality and integrity of the projects and cross-functional teams to produce impactful, measurable results. In this role, he led a collaborative effort in partnership with MTV and the Get Schooled Foundation to develop an award-winning social networking financial aid tool that leveraged cutting edge technology, educational content and media to engage students in schools across the country (mycollegedollars.com). In addition, he managed the partnership with the National Association of Secondary School Principals (NASSP) to develop an online modular toolkit for educators that leverages best practices, activities, research and technology in a forum for continuous improvement. (leadingsuccess.org). While at WNET/PBS, Rohit led multiple strategic and operational initiatives designed to focus resources on creating and delivering the finest educational content and programming. At digital developer, Perfect Sense, he guided clients through the challenging process of conceiving, designing and developing multi-use web portals to engage their clients, members and customers. Rohit received an MBA in International Management, with honors, from Fordham University and a B.S. in Economics from Carnegie Mellon University. He is an active, licensed member of the Project Management Institute. Annika Many is a senior professionally certified program and project manager with over fifteen years experience in the education field. Annika has worked on a number of programs and services for higher education and K-12 educators, focusing on diverse policy challenges such as new schools and school reform, college access and equity issues, teacher and school leader quality, professional development, assessment, community colleges, student aid reform, Common Core State Standards, college completion, and the alignment between K-12 and higher education. 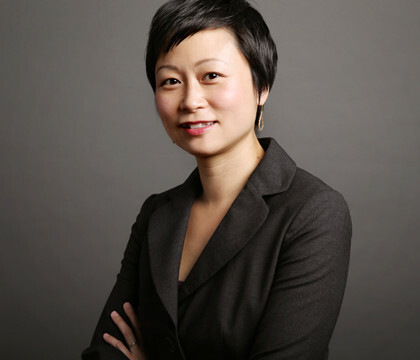 At edBridge Partners LLC, she is a principal of the firm, responsible for program development and management services. 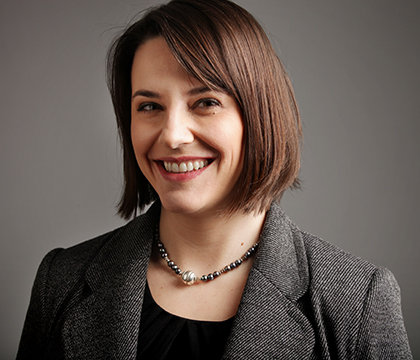 Prior to joining edBridge, Annika spent over nine years at the College Board, where she held positions in strategy, program and project management, supporting several divisions across the organization. In her most recent role as the Senior Director for the Advocacy & Policy Center, Annika spearheaded the development and implementation of the Affinity Network, a unique initiative that brought together K-12 and postsecondary educators to work towards improving students’ transition from high school to college; led the portfolio of advocacy and policy initiatives related to college affordability and financial aid, including work related to Trends in Student Aid, Trends in College Pricing, Education Pays, and Rethinking Pell Grants; and, organized and directed the operations of the Center. In her other varied roles at the College Board, she helped organize an initiative to start new, small schools in partnership with four major school districts across New York State, worked in a new internal strategy and management division, and helped to build the organization-wide Project Management Office (PMO). 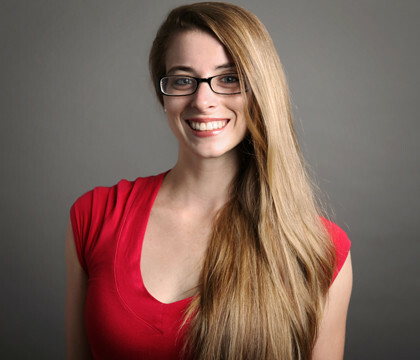 Prior to working at the College Board, Annika held project and research assistant positions at the Community College Research Center at Teachers College, Columbia University and the Infant Cognition Laboratory at Carnegie Mellon University. Annika holds a MA in education and politics from Teachers College, Columbia University, a MPA degree in non-profit management from Pace University, and a BA in psychology Phi Beta Kappa from Carnegie Mellon University. She is a member of the Project Management Institute, and serves as an active alumnus volunteer for Carnegie Mellon’s Admissions Council. A passionate leader in the education field, Fiona brings a wealth of knowledge and experience working with key education stakeholders, including educators, students, school districts, local and federal partners, college access organizations, colleges and universities, and corporate partners. She has over 15 years of experience developing and leading school, educator, and youth programs that keep students focused on high school graduation, college enrollment and completion. Prior to joining edBridge Partners, Fiona directed and managed education programs in a variety of roles. As the Director of Education Partnerships & Outreach at Get Schooled Foundation, she developed strategic partnerships with school districts, school-based organizations, regional collaboratives, college access organizations, higher education institutions, corporations, and federal partners to create programs that improved rates of chronic absenteeism, high school graduation, college-readiness, and financial aid application. Fiona led Get Schooled’s in-school programs at over 2,000 middle and high schools across the country, managing a school outreach team that provided educator training, ongoing and technical support, program assessment, and student leadership development to improve student success. Before Get Schooled, Fiona worked at the College Board Advocacy & Policy Center as an Associate Director of College Readiness Initiatives, developing a portfolio of programs that created opportunities for low-income, minority, and first-generation students. Fiona was also a Program Manager at the Network for Teaching Entrepreneurship, where she oversaw middle and high school entrepreneurship programs in New York City. In addition, she worked as a Program Associate at the Blaustein Philanthropic Group to support grant-making portfolios in education, youth development, arts and culture, human rights, and health for Baltimore, New York City, and international communities. Fiona holds a M.S. in Social Science from Towson University, where her research focused on the role of community organization in education reform in Baltimore City. She received a B.A. in Political Science from Johns Hopkins University. Melissa has dedicated career to improving education and brings a strong commitment to applying research and policy that improve practice and student outcomes. She brings a wealth of experience in workforce development that mirrors her belief in the power of workforce opportunities to change lives. For more than 20 years she has been consulting with state policy makers, industry executives and college leaders on effective workforce policies, as well as researching and disseminating the most promising practices in the field. At edBridge Partners LLC, she is a Vice President, responsible for program development and advising higher educational institutions on effective workforce development practices. Prior to joining edBridge Partners, Melissa served as Senior Workforce Strategist at Southern New Hampshire University’s (SNHU) College for America where she worked to the competency-based educational offerings had relevance in the labor market. She served as Senior Associate and Director of Operations at Workforce Strategy Center, a not-for-profit consulting organization focused on advancing effective workforce practices nationwide, where she facilitated state and regional strategic planning efforts and provided technical assistance to foundations, federal agencies, businesses, workforce boards, and community colleges across the country. She has authored a number reports on effective workforce development practices including Employers, Low-Income Young Adults and Postsecondary Credentials; The Case for Community Colleges: Aligning Higher Education and Workforce Needs in Massachusetts; and Taking Root: The Virginia Career Pathways Systemamong others. Melissa also directed business outreach and continuing education services at Westchester Community College in New York and Bergen Community College in New Jersey, and was a program manager in the Port Authority of NY&NJ’s Office of Business and Job Opportunity engaged in program development, creating career opportunities the Port Authority facilities for local residents. Melissa received her M.P.A in Public Policy Analysis from New York University’s Wagner School, where she was Dean’s Scholar, and her B.A. from the University of Maine, With Distinction. As the Executive Assistant to the CEO at edBridge Partners, Maria supports the edBridge team in a myriad of ways, from coordinating team meetings and client engagements to managing travel and expenses. Prior to edBridge Partners, Maria was the manager of a high-volume Staples Copy & Print Center. Her responsibilities included supervising a large staff, overseeing new employee training, and managing customer discount programs through a software tracking system. Prior to her work at Staples, Maria was an events coordinator for an events management company. Maria is currently attending Kingsborough Community College and is in the process of completing degrees in Business and Computer Engineering.